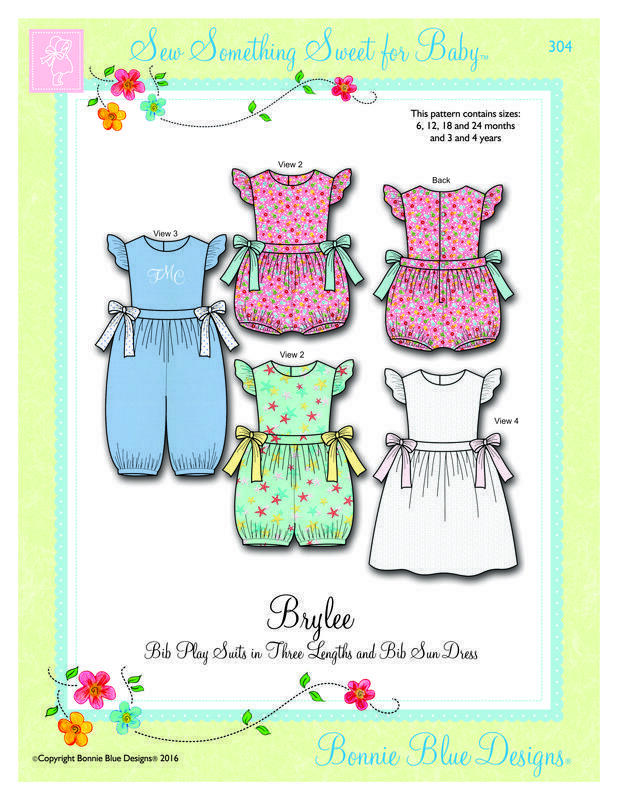 Bonnie Blue Designs® offers patterns for sewing clothing for babies and children. 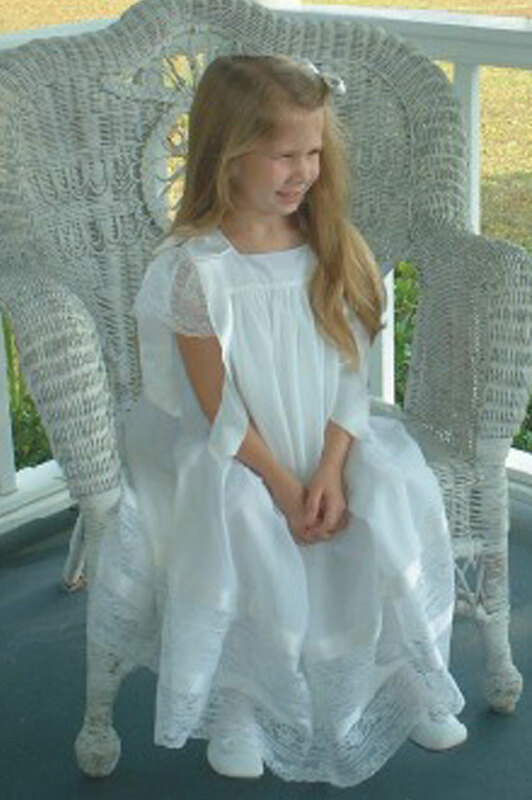 A large selection of styles are available including Heirloom Dresses and Boutique Style Play Clothes. Detailed instruction and illustrations are included in each pattern. Experienced and beginner sewers both will find up to date styles and classic designs. New Patterns are Here! The new patterns above are now in the stores and more are on the way! Visit the Pattern Catalog pages - Click on the pattern pictures and you will get a larger image to view. Also, there is a button "Back" located below the pattern description. Click on this button and you will find the entire back of each pattern. This should help us all find the fabric requirements more quickly! 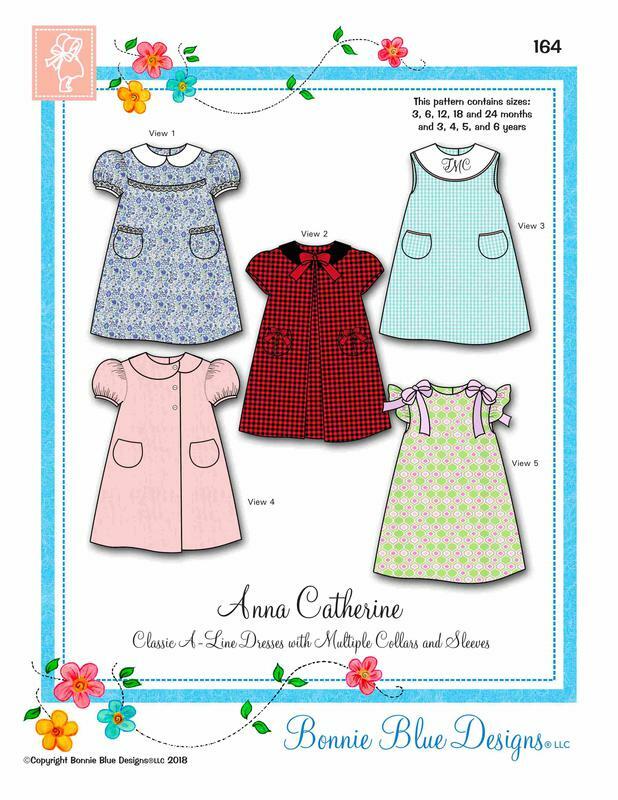 "Ordering Info" includes shops and websites to purchase our patterns. Please visit these shops and websites to purchase our patterns retail. "Wholesale Info" includes distributor contact information. Email us for wholesale information. Dresses and Play Suit with Tulip Pockets! Scallop and Round collar choices included. Make any of the outfits sleeveless, baby puff sleeve or cap sleeve. Embroidery designs and complete embroidery instructions included. All sizes in one package! 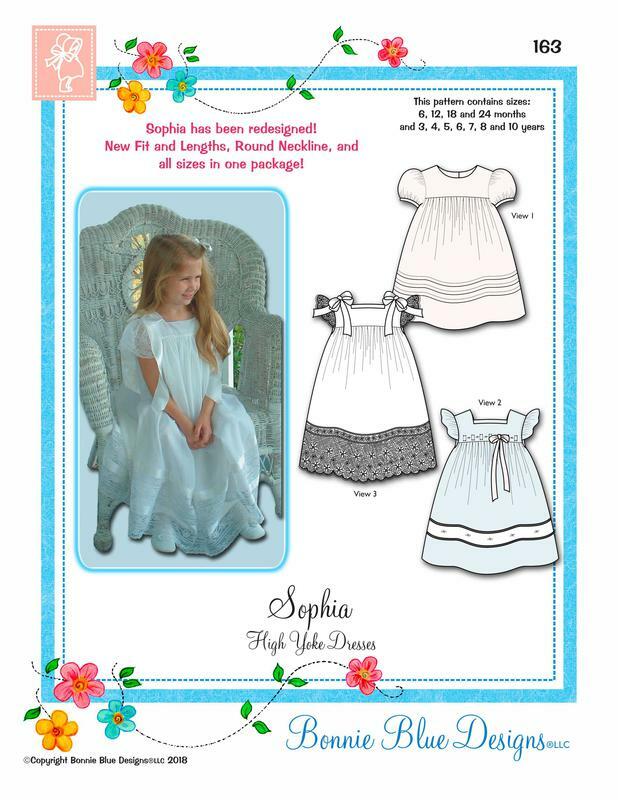 Redesigned Sophia includes round neckline! 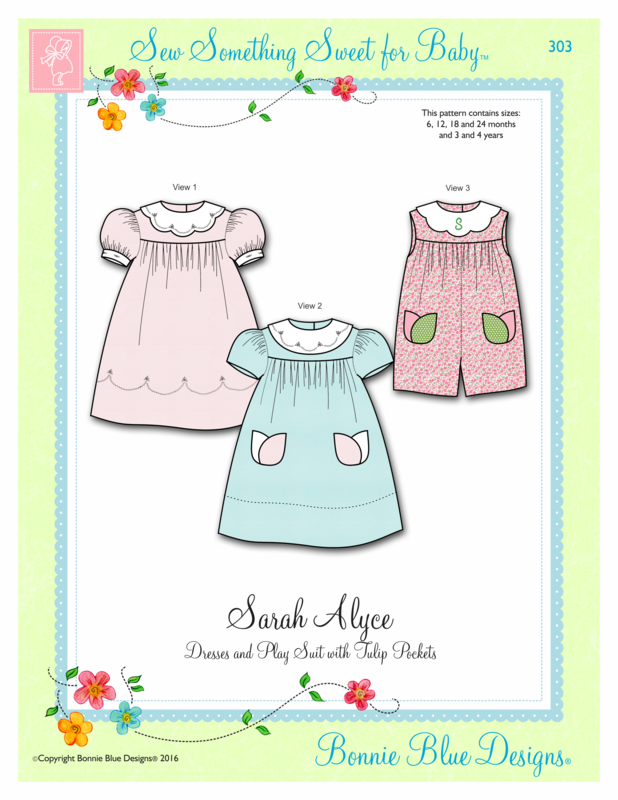 Make fun and easy play dresses and heirloom style dress too! Easy to make classic A-line dresses with back button closure. Sleeve styles include puffed and gathered sleeve, angel sleeves and cap sleeves. Peter Pan collars, Square Corner Peter Pan collars, Round collars, Offset Peter Pan Collars and no collars. Two styles of little pockets included too! Sizes 3 months to 6 years included in one pattern package. Fun and easy play suits can be made with legs in three lengths: short, knee and ankle length. Cute angel sleeves on shoulders. Open sides with bib styling and buttoned backs. Make a sun dress version for additional options! Also, make cool-weather jumpers!